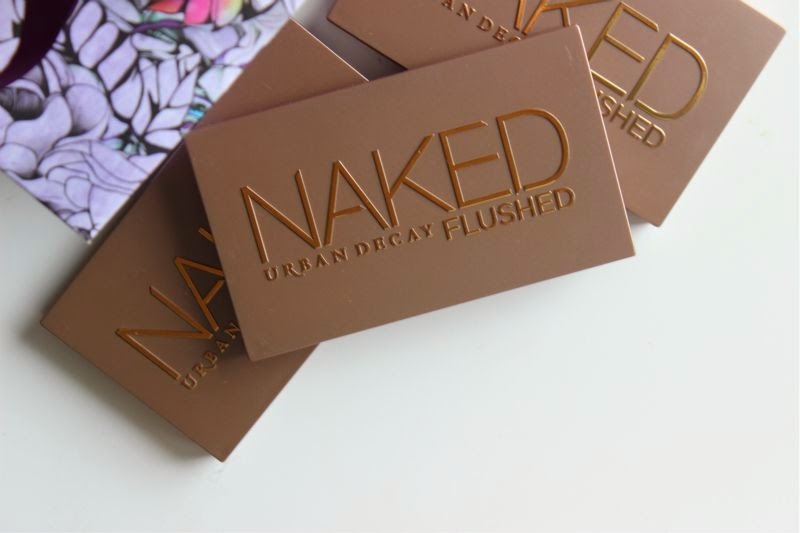 In my opinion the new Urban Decay Naked Flushed Palettes are very similar in both size and style to the Urban Decay Naked Basics Palette. 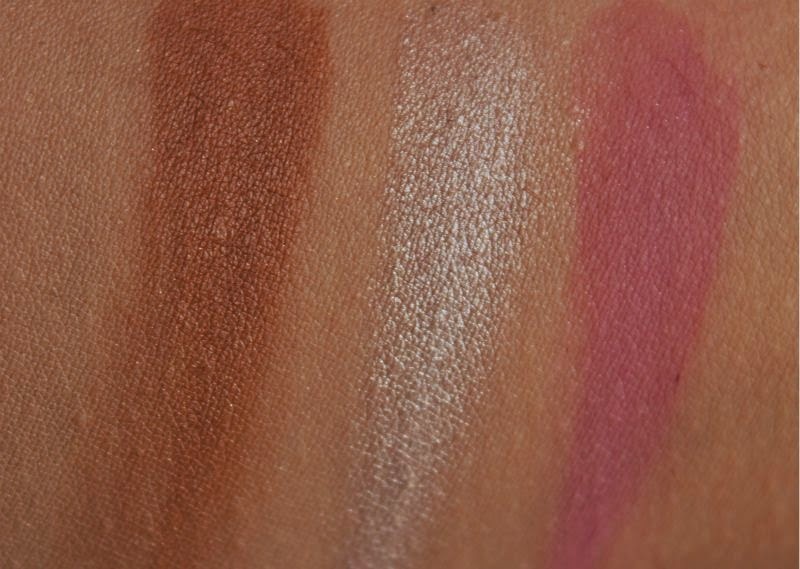 Although small in size the three pans of product in each kit are well sized so most blush and face brushes will fit into each shade with ease - nothing worse than picking up all three shades at once when that was not your intention. The casing is a sturdy plastic outer which should survive the odd knock and bump should you use it to travel and inside houses a good sized and quality mirror. 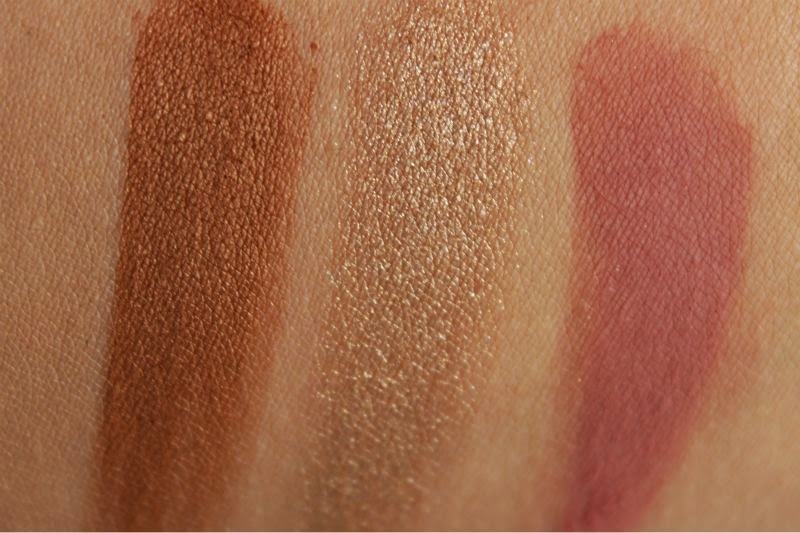 So yes three new Urban Decay Naked Flushed Palettes for Summer 2014, I can not fault the pigmentation levels of any of the palettes. I kid you not when I say the lightest dusting of powder is all you will ever need, which is just as well as oddly the highlighting section in each kit seems to be an overspray (you can see it is slightly raised in some photos), a fairly thick overspray but one none the less. 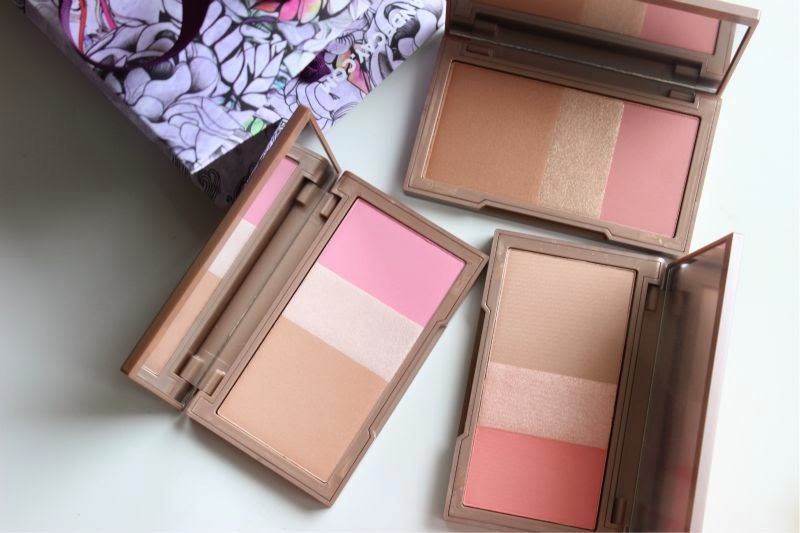 This of course means you have less highlighting powder to play around with than blush or bronzer. I'm not too sure how I feel about this truth be told. Each of the three powders in the palettes feel soft to the touch and have been finely milled so they blend beautiful and will not sit in fine lines, open pores nor will they cling to dry areas. Another great point is that the colour stays true and doesn't fade quickly either - with a primer I can easily achieve 8 hours of wear with wiggle room for a little longer. Not too shabby at all. 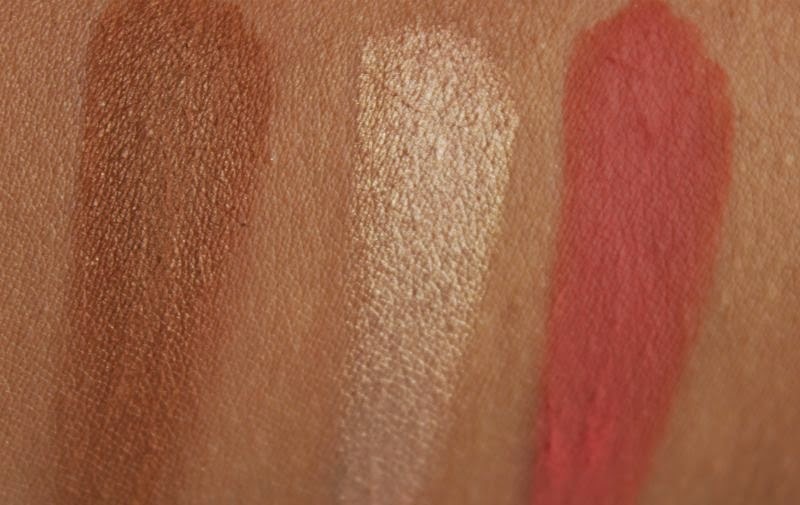 I believe the idea is that you sculpt using the bronzer but in my opinion they all run a little too warm to be used a contour but that will boil down to preference. 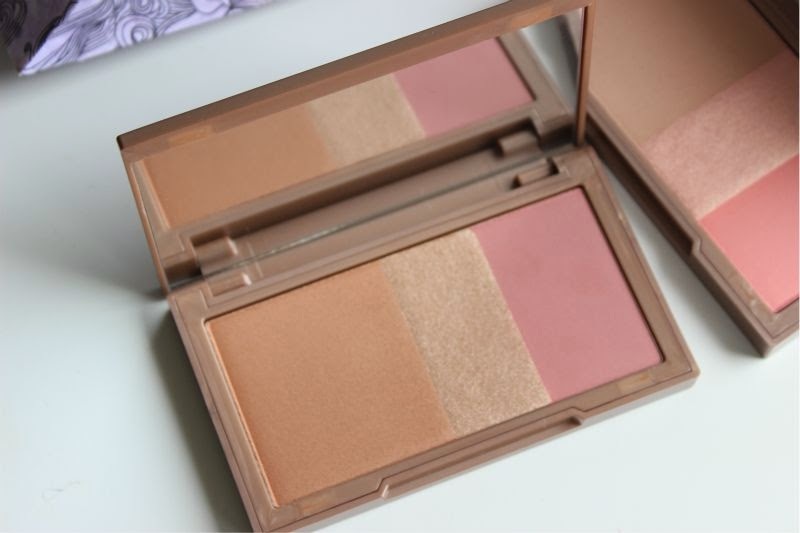 - Urban Decay Streak Flushed Palette - this features a beautiful neutral coral blush, a light matte bronzer and light iridescent peach highlighter come blush shade. 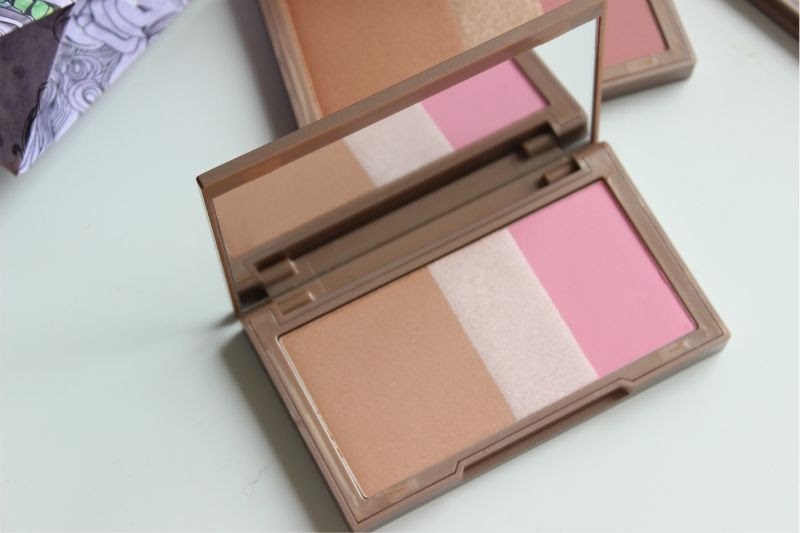 In my opinion this is the palette best suited to paler skin tones and is my personal favourite. 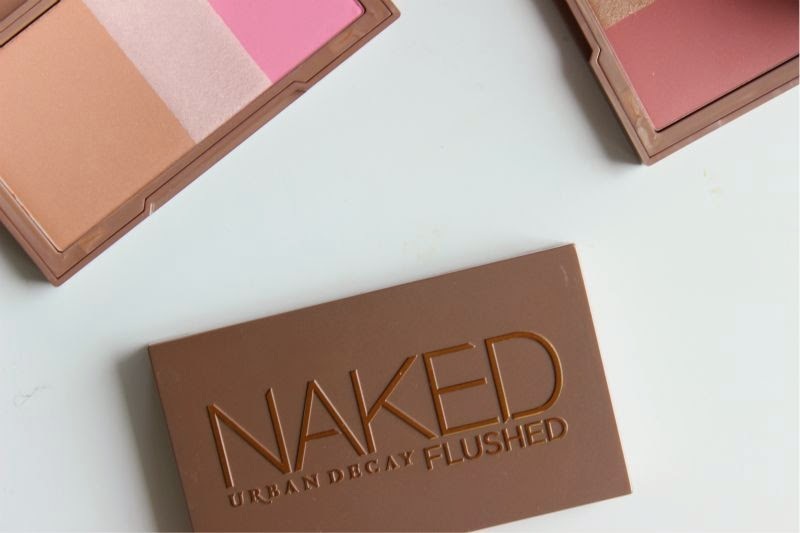 - Urban Decay Native Flushed Palette - if you have a deeper or tanned complexion you may enjoy this set up - a bright candy pink blush, a deep bronze bronzer and a light icy pink highlighter. 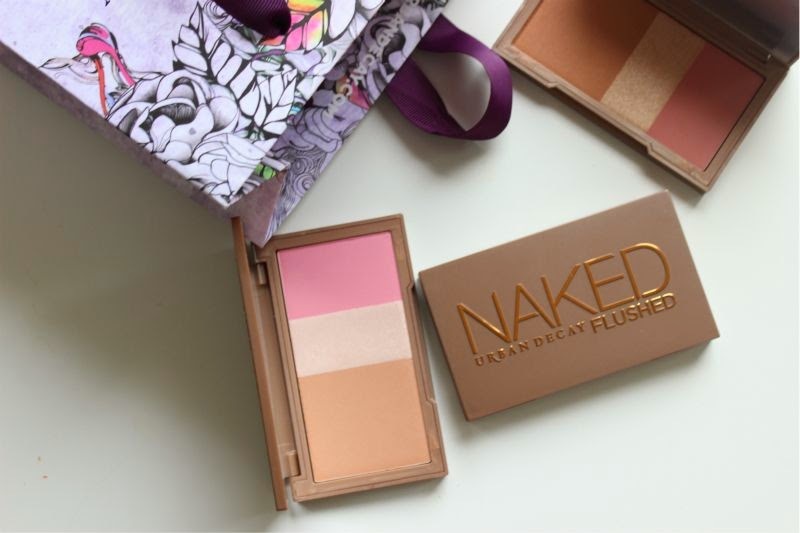 - Urban Decay Strip Naked Flushed Palette - this is the warmest palette out of the bunch featuring a medium olive toned bronzer, a neutral toned mauve come pink blush which reminds me a lot of MAC Mocha blush and a highlighter that reflects golden. I really hope Urban Decay launch a line of highlighting powders and stand alone blushes as they are nothing short of incredible. 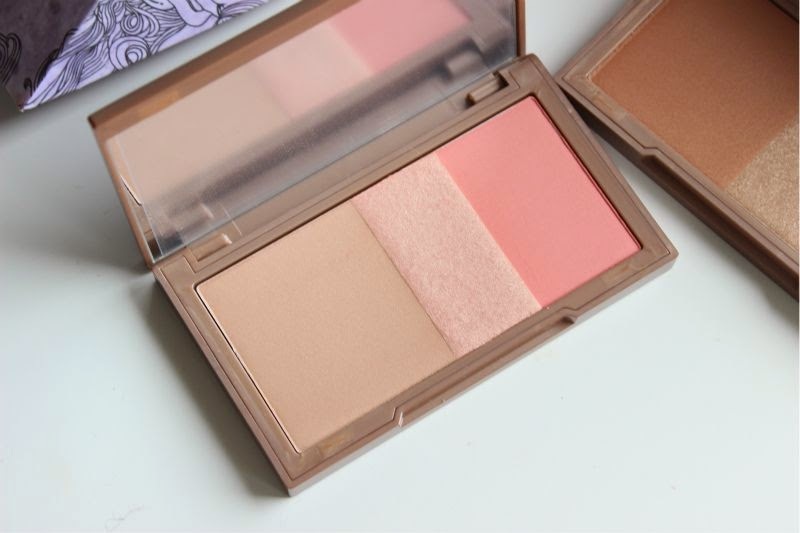 The bronzers in all truthfulness I could live without. 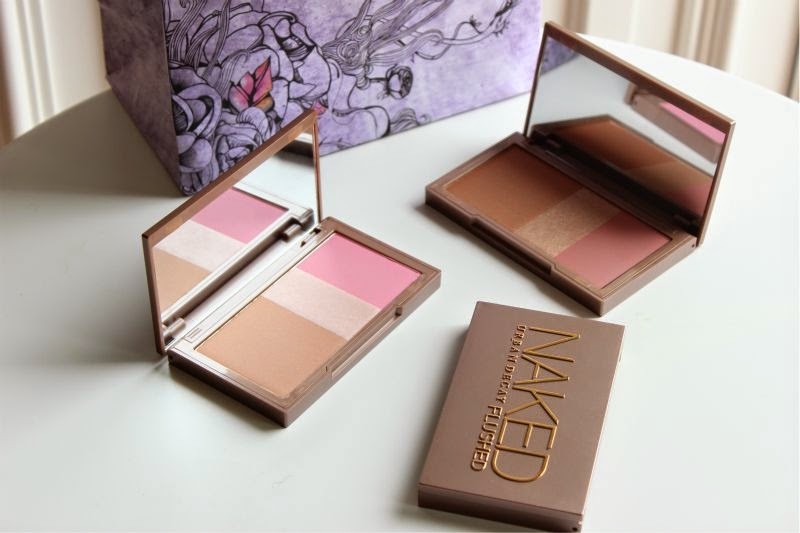 You can find all three of the new Urban Decay Naked Flushed Palettes via the House of Fraser for £22 each - here. LOVE this palette so much!